Home » World 2025 » On a fully Digital Earth, could today’s greatness become normal? We’ve reached an historic turning point: The Earth is about to turn into a digital planet. We will use new technology to build our first fully digital world. The question seems obvious: What will our digital world be? The techie’s reply is, well, technical: New or evolved devices, interfaces, connections, presences, services, tools, networks, data centers, systems, processes, content and many (many!) other parts integrated together. That’s what fills the Expandiverse’s documentation and IP. That’s what’s really important: The Expandiverse was created to support our journeys, not deliver us to an ideal destination. To begin, some might start with personal Expandiverse journeys: Can you reach your personal dreams if you are digitally free and supported in new ways? Who and what do you really want to be? When you control reality, you’ll get to choose. And you can try repeatedly until you find your best self. Then begin again, as who you really are. As we consider the middle of this century we might want new ways to work together in a stressed world: With nine billion people each large crisis will affect a city or region, involving tens or hundreds of millions of people. Should we be a digital planet that can respond instantly — to collaborate, coordinate and contain crises before they begin, while they happen, and after they hit? A world with billions on the edge needs more than governments, NGO’s (Non-Governmental Organizations) and the military. It needs people who can collaborate instantly at any scale — including tens of millions when needed. 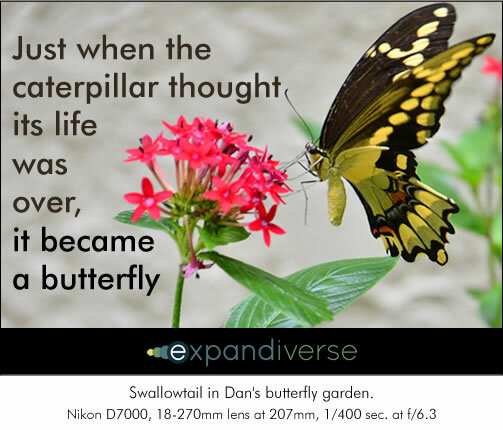 The Expandiverse was created because it’s much more than “new technology.” It combines several black swan innovations: It uses our digital transition to try for humanity’s highest goals. It leverages IP and competitive pressures to stimulate adoption. It injects the idea that accelerating the future into today — becoming a fully digital planet quickly — could be a valuable and powerful addition to our lives, the economy and the world. Is it possible for all our dreams to come true, all at once? By billions of us? This new kind of digital world can now be substantially built in a decade. The one when we seize the opportunity, and pursue a world where everyone could become a winner. This could make us one of the most capable generations in history — right at the historic moment when the Earth needs us to rise to our full awareness and abilities. We could make it our destiny, and our gift to ourselves as well as each other, to turn our future from a swamp into a sky rocketing world. Compared to today’s economic plateau in the advanced economies, this might be a smart addition. Could the world’s biggest business opportunity be to turn the Earth into an advanced digital planet, where greatness for everyone could become normal? When you’re in the Expandiverse let me know… Is this a fun world yet? 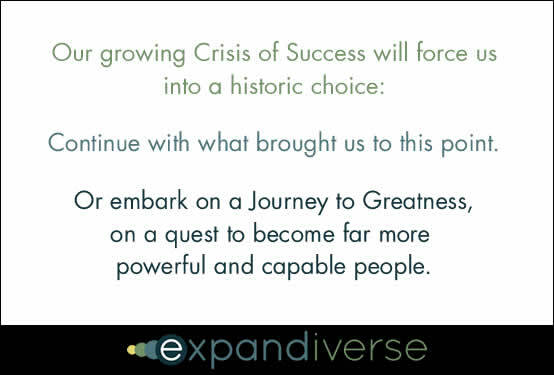 Share the post "On a fully Digital Earth, could today’s greatness become normal?"